A few gestures of mutual respect between North Korea and South Korea during the first week of January are a long way from a stable, enduring peace on the Korean peninsula, but these gestures are the best signs of sanity there in decades. On January 1, North Korean leader Kim Jong-un called for immediate dialogue with South Korea ahead of next month’s Winter Olympics there. 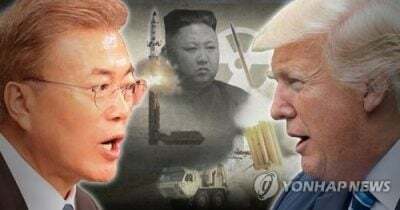 On January 2, South Korea’s President Moon Jae-in proposed that talks begin next week in Panmunjom (a border village where intermittent talks to end the Korean War have continued since 1953). On January 3, the two Koreas reopened a communications hotline that has been dysfunctional for almost two years (requiring South Korea to use a megaphone across the border in order to repatriate several North Korean fishermen). Talks on January 9 are expected to include North Korean participation in the Winter Olympics that begin February 9 in Pyeongchang, South Korea. Featured image is from Yonhap News Agency.